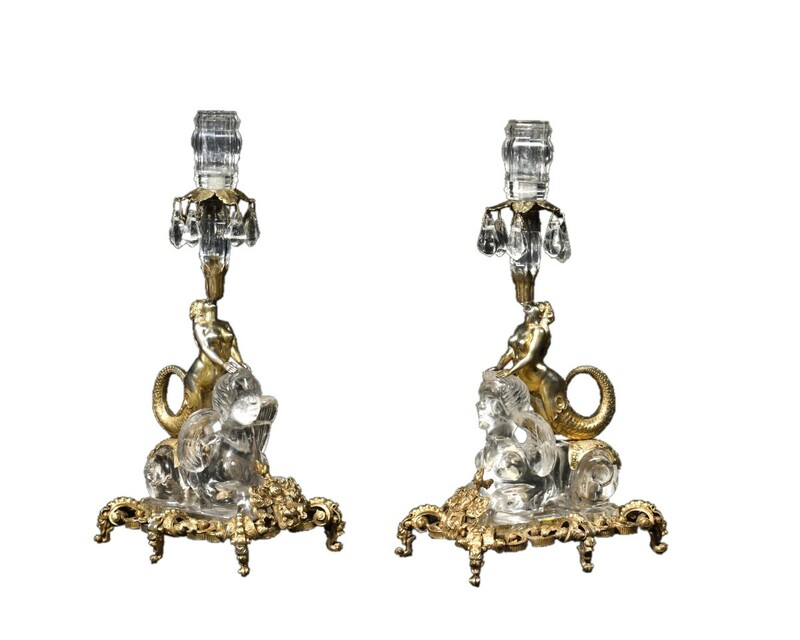 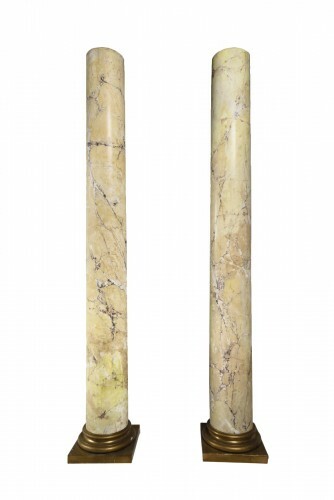 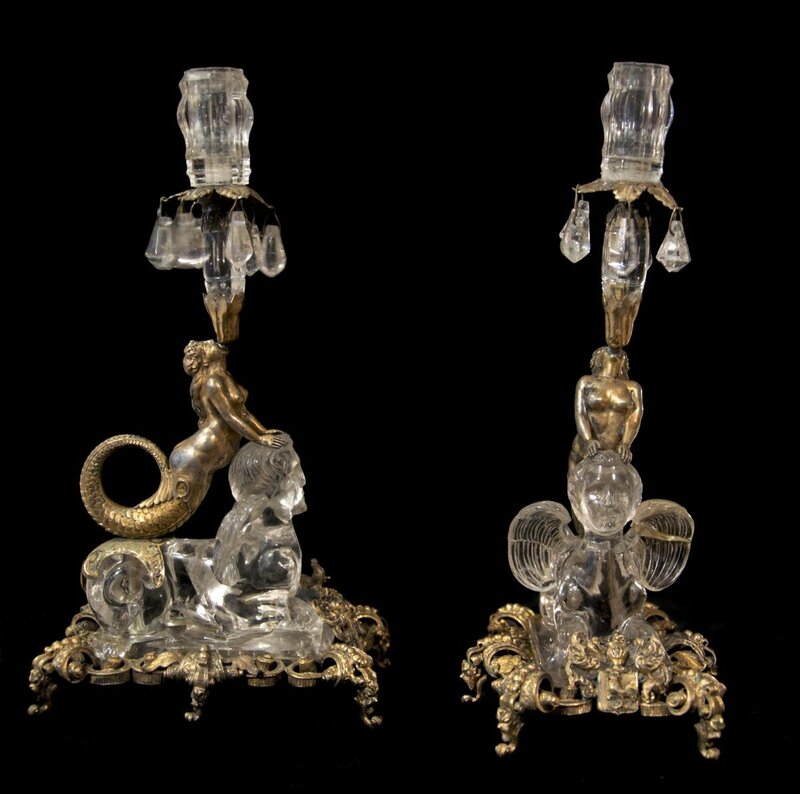 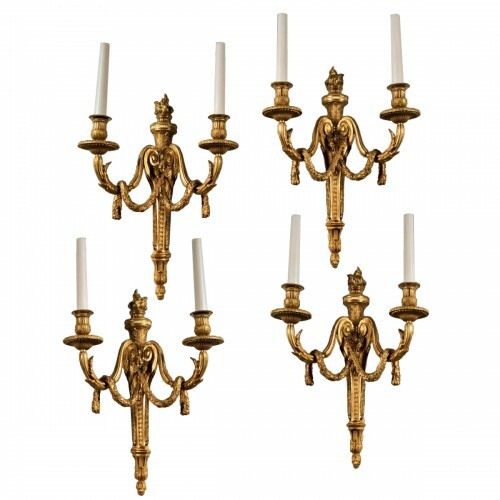 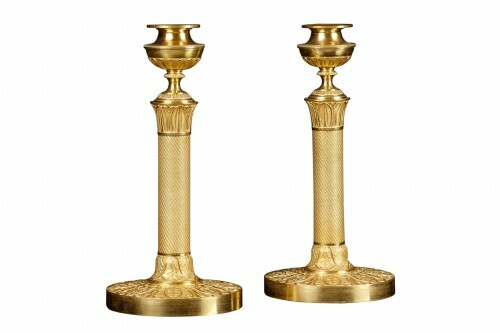 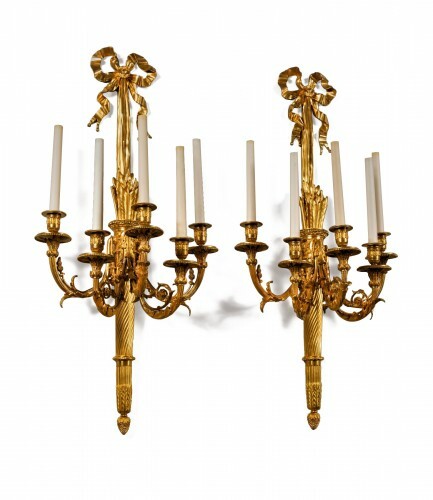 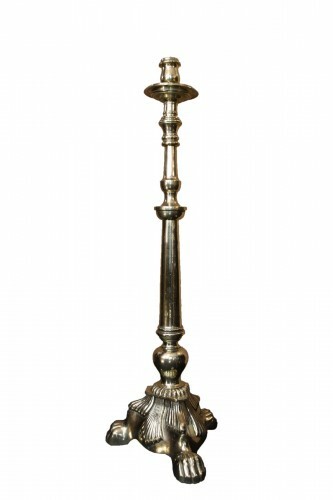 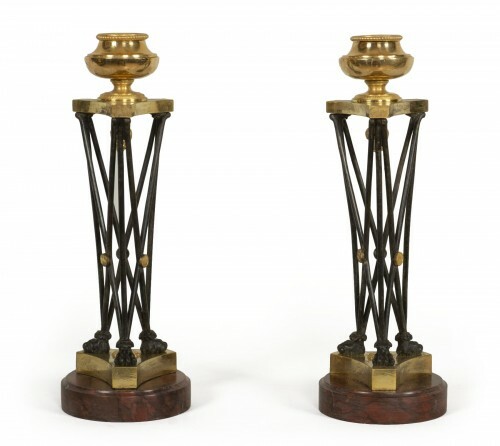 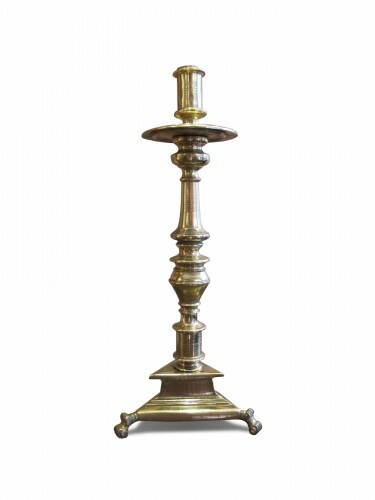 Pair of candlesticks in rock crystal and vermeil. 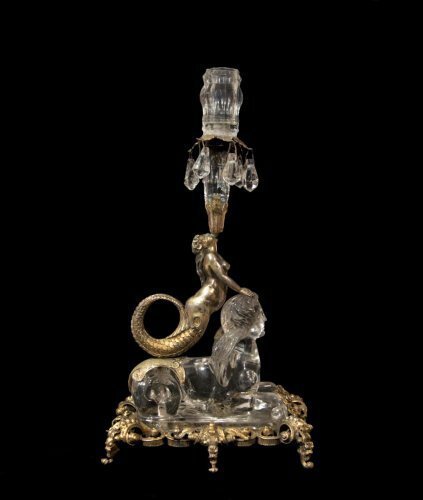 Figure of sirens riding chimeras. 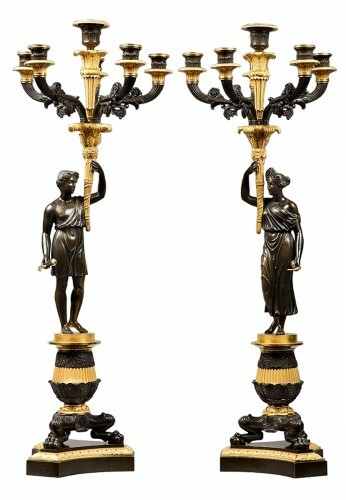 Italy or Austria, 19th century.